Easter is a joyous occasion in our household and the weekend is filled with family, friends and lots of fun! On a whole, our family is spread out throughout the country and it’s rare we get these moments together to just enjoy each other’s company. If like me you want to make Easter special this year then here are a few things we like to do. We are a foodie family so it makes ultimate sense that food is at the heart of our celebration. Throughout the weekend we bake, we cook and we indulge. Hot cross buns and chocolate become a staple food group (sorry Slimming World) but it’s about much more than the sweet treats. On Easter Sunday, we cook a huge roast dinner consisting of lamb and all the trimmings. We lay the big dining room table and we all sit together enjoying good food, good company and good conversation. Easter is the only time of year other than Christmas that our house is filled with children. 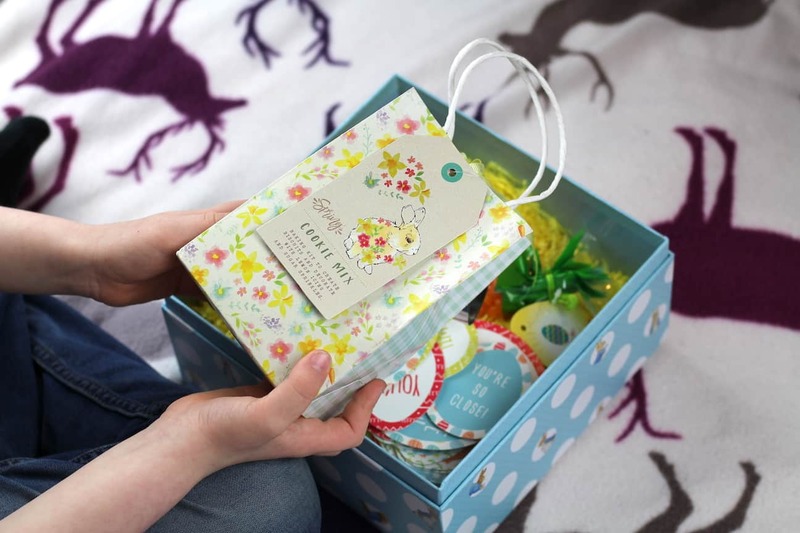 It has become tradition to give each child an Easter ‘hamper/basket’ like this gorgeous one we were sent by Hallmark. 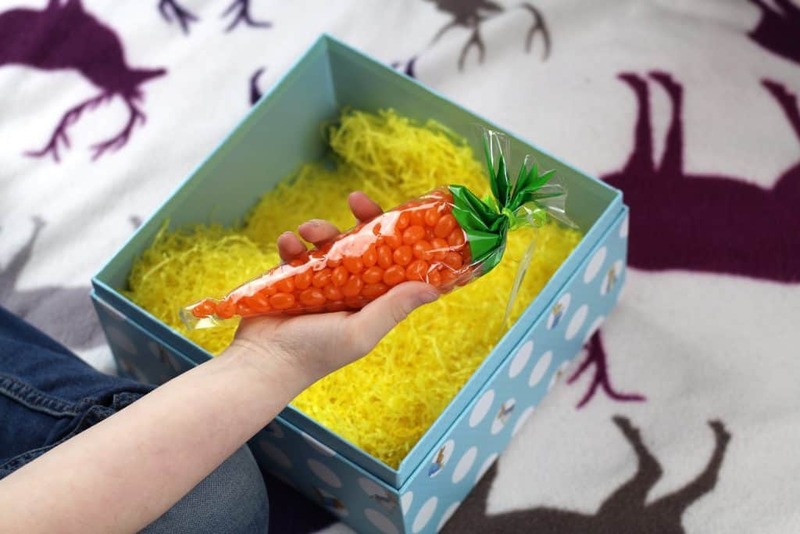 These consist of some sweet treats like these carrot shaped jelly beans. 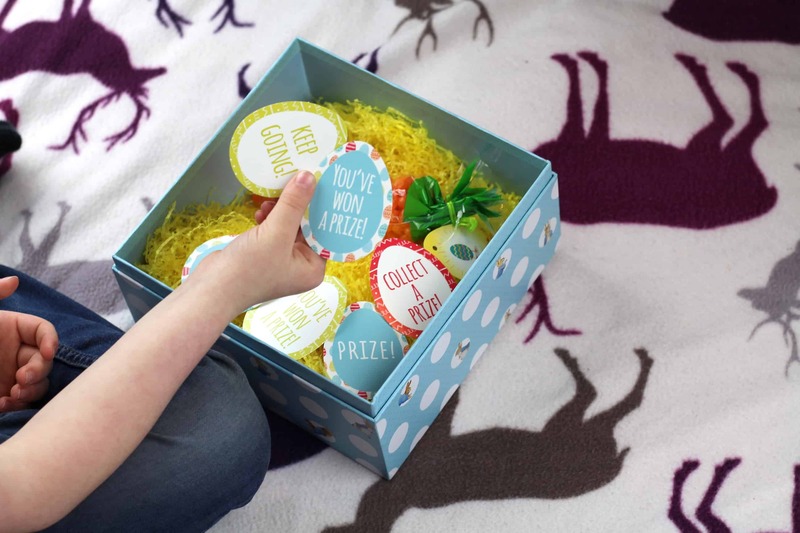 Some Egg hunting tokens or mini eggs to hunt. A fun Easter inspired activity like this Spring Cookie Mix and Bunny Cookie Cutter. 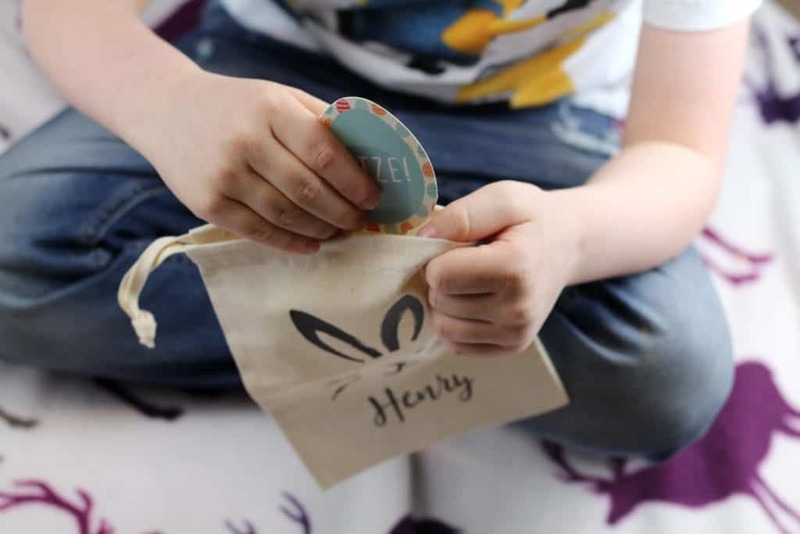 Something fun to collect their Easter treats in like these gorgeous personalised egg hunt bags. Is it really Easter if you don’t do an Easter hunt? It’s one of the things the younger people in our family look forward to the most. 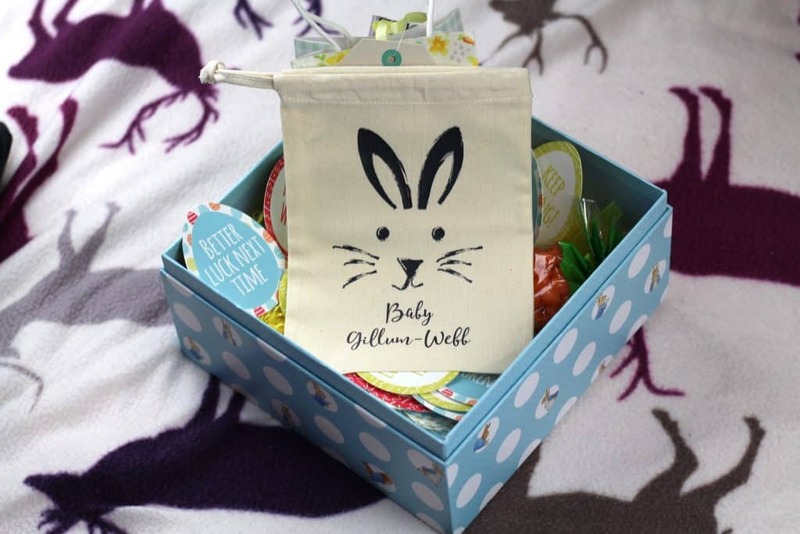 Ideally the best place for an Easter hunt is outside but the weather isn’t always on our side!! If you can’t do the hunt outside don’t despair you can still do a great hunt indoors! I’m usually the Easter hunt leader and will hide Easter tokens in preparation for the hunt. When it’s time the children are set free to find as many as they can. The excitement on their faces and seeing them hunt for those last few tokens which I’ve usually hidden pretty well if I may say so myself makes, all the preparation worthwhile. Between all the excitement it’s nice to settle down together and watch a film or gather round a jigsaw puzzle. Sometimes we make Easter crafts and decorate hardboiled eggs. It’s customary to go for a walk with the dogs too and it gives everyone a bit of time to take in the beauty of Spring. Ultimately if you take away the food and the activities the day would still be special for me because it’s about the company. Spending time with those family members we don’t see too often and just enjoying the quality time spent with those we do. Easter is a time when I reflect and cherish those relationships with those dear to me. I might not pick up the phone as much as I would like – but life gets in the way and being pregnant doesn’t help that. Easter is a reminder for me to slow down and check in with those I care about. 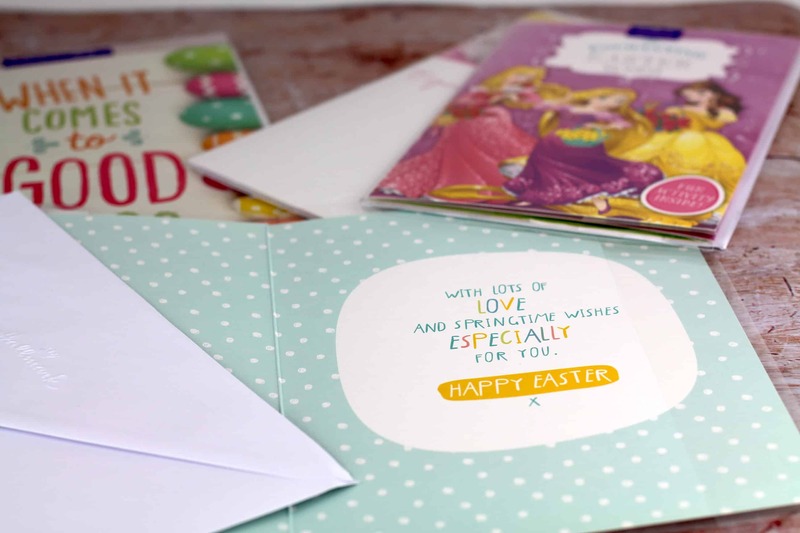 For this reason, I always take time to write Easter cards especially for those who can’t celebrate with us. The family that live abroad or just the ones that are busy with their own lives I like to think it might just make Easter special for them to know they are still included in our celebrations. I’ve mentioned before that I love Hallmark cards the quality alone supersedes any other cards I’ve used before. 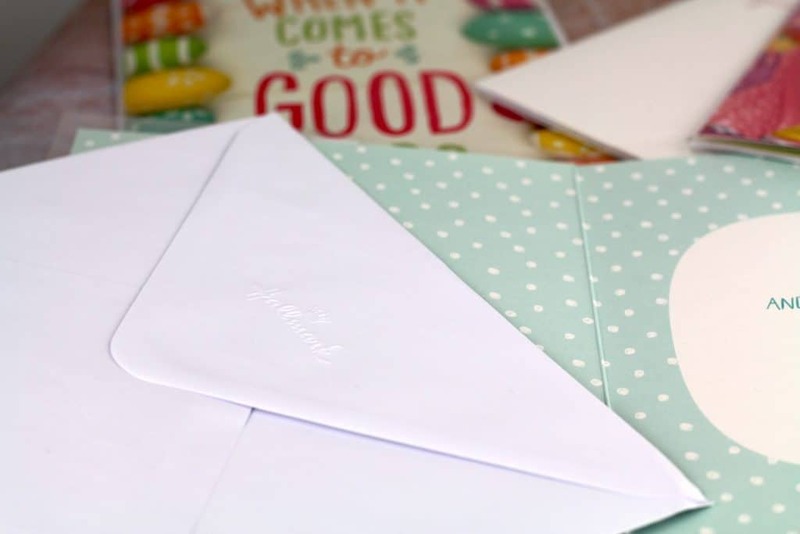 Our family are often referred to as ‘card hoarders’ and almost every card is saved and treasured so I always take great pride in choosing the perfect card for each person. 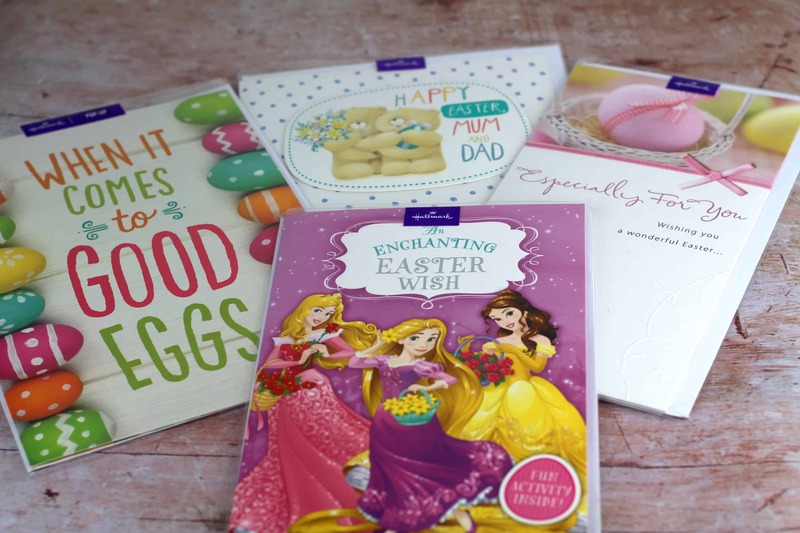 Hallmark have such a variety of cards suitable for every personality you can think of. I’m never short of words but if you are finding it hard to think what to say then what’s pre-written inside often sums everything up for you. 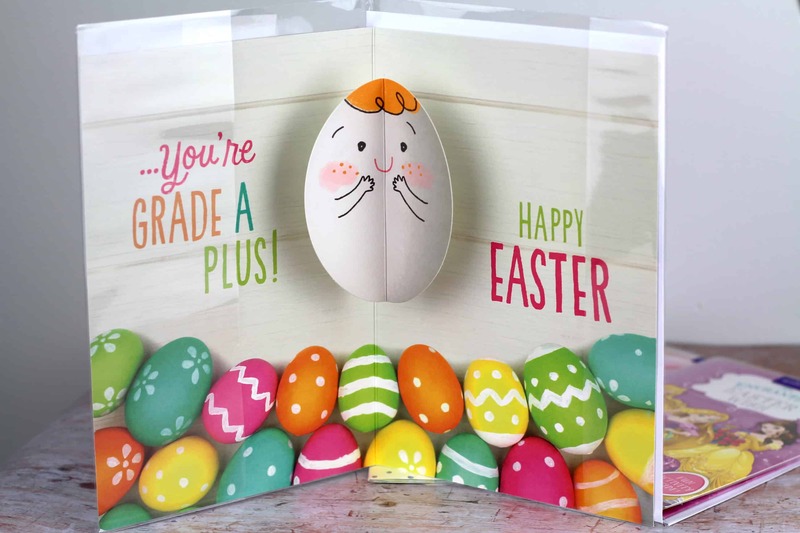 My absolute favourite Hallmark find this year has to be this fun pop up card – it pretty much sums up my family and is bound to make Easter special! Check out their full range here. Whatever you do for Easter I hope it’s everything you need and more! If you have any tips on how to make Easter special let me know in the comments below! If you want some Easter Gift Guide Ideas head over to this post! 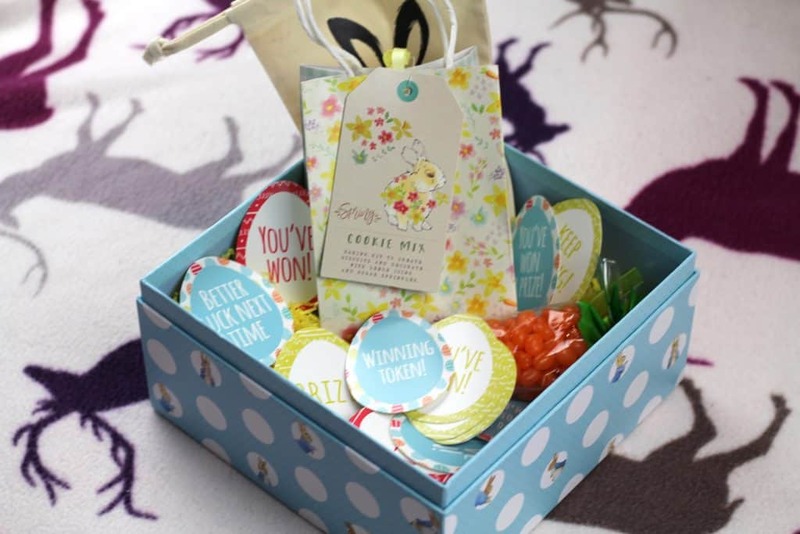 *We were kindly sent a beautiful Easter hamper from Hallmark and a selection of their Easter cards. However all words, views & opinions expressed in this post are honest and my own. For more information on any of this please visit this page.